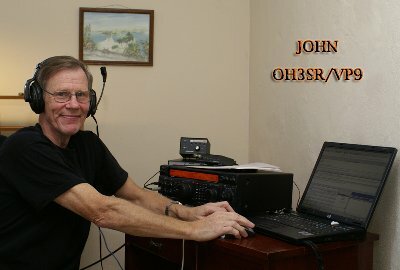 During my holiday weekend operation I worked abt 1100 QSOs to112 countries using CW, SSB and RTTY. I was happy to give 600 new multipliers in CQ WW CW. I was the only VP9 outside of 20 meters. On RTTY I worked abt 500 QSOs and was so sorry to go QRT in the middle of RTTY pile up, but next time. I have never heard 160 m to be as good as it was from your QTH. No QRM no QRN. Especially I was very surprised I heard East and North Europe already long before my sun set.